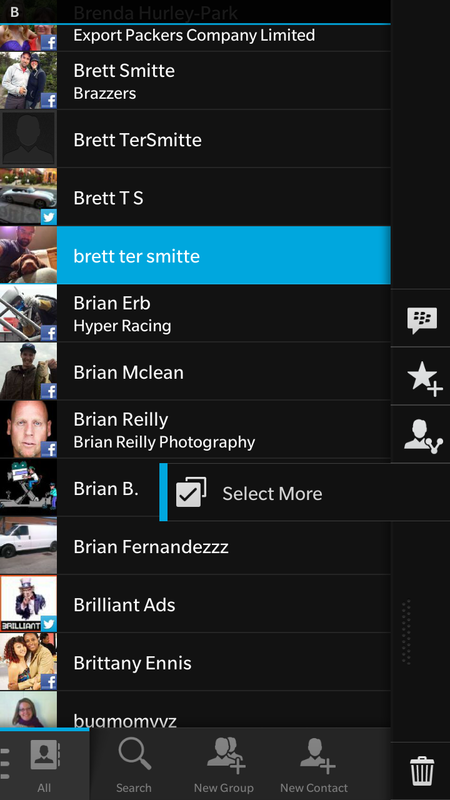 One of the highly touted features of #BlackBerry10 is the ability to combine ‎contacts from all different social medias. 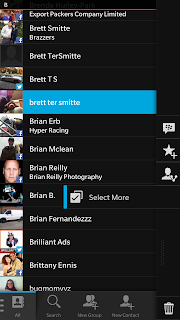 This allows you to see social media updates inside the Contacts app or in a Calendar appointment with that person. The downside is the process doesn't exactly seem fully automatic due to knick names etc. This can leave you with multiple entries of the same person. 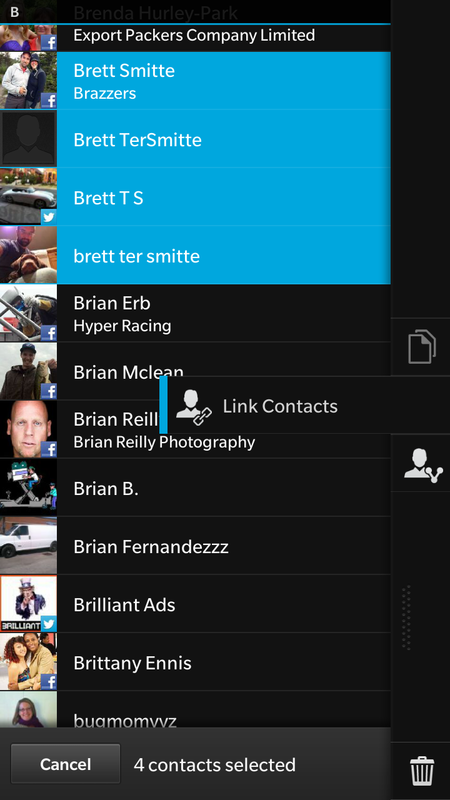 Luckily #BlackBerry10 has a way to quickly link contacts together. 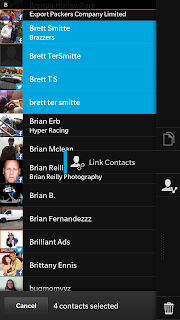 Open the contacts app and scroll to a person with multiple entries. Long press on one of them, and then select the checkmark. Now press on all the entries that are related. Then press the chain symbol (link). This combines all entries in to one contact. Thank you now can you solve another issue is there a way to have my BBM told to me as my texts are from my truck when my phone is connected to my truck. My phone is a Z30 and my truck is a 2014 ram.